KAGOSHIMA - Manufacturers of Oshima tsumugi, a traditional silk kimono fabric woven in Kagoshima Prefecture, are seeking to breathe new life into their industry amid a shrinking market for what is now seen as a ceremonial material. Mainly produced on the prefecture’s Amami Oshima Island, Oshima tsumugi has a history dating back 1,300 years. Praised for its delicate patterns, it is entirely handmade and involves as many as 30 separate processes to complete. Production has plunged to one-thirtieth of the volume 40 years ago, however, as few people now wear kimono on a day-to-day basis. But the Oshima tsumugi producers are not standing still. As well as seeking to preserve their tradition, they are looking to boost interest in the product in new ways. Kubota Orimono, a company in the city of Kagoshima that produces and retails Oshima tsumugi, set up a new brand, amaming, in November. 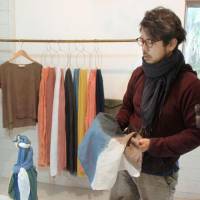 Teaming up with an apparel maker in Tokyo, it sells neckties and bags online made of the fabric and featuring one of the traditional patterns, called tatsugo. “Chic, sophisticated tsumugi is something we can boast of to the world,” said Tsuyoshi Kawagoe, 56, head of the company’s new business department. According to a local Oshima tsumugi fabric cooperative, production of Oshima tsumugi peaked in 1976 at around 970,000 tans (a tan is a unit of measure used in Japan for rolls of cloth — one tan is approximately 12 meters in length), but currently is down to around 30,000 tans. In the past, manufacturers made souvenirs using the material, but this did not succeed as a business. “I hope to create a new market by analyzing what kind of products (using Oshima tsumugi) have appeal,” he added. 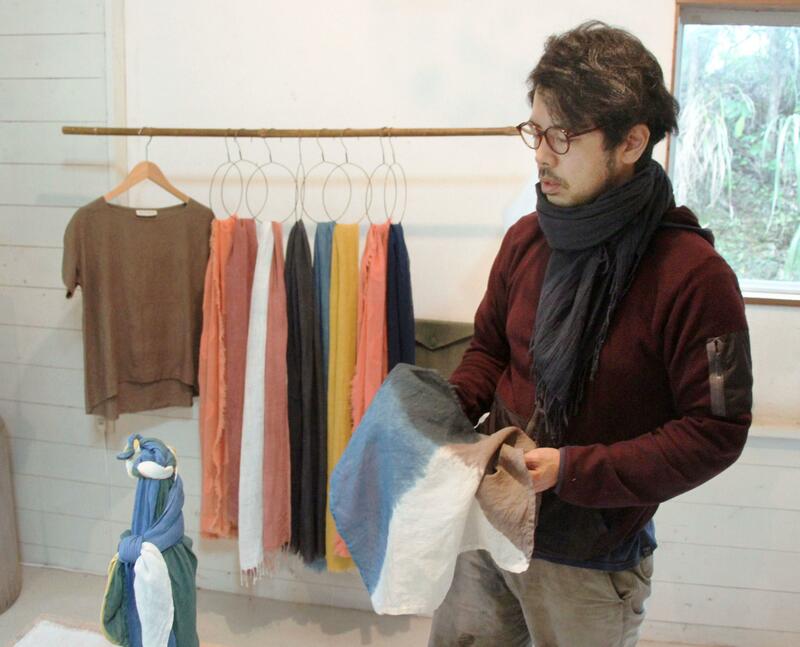 Producers on Amami Oshima launched a project in 2014 to pitch the fabric to wealthy consumers in Asia, collaborating with local municipalities and major trading houses. Kanaikougei Co., a company located on the island that specializes in mud-dyeing — one of the processes in making Oshima tsumugi — is now applying its traditional skills to dyeing dresses, shirts and sneakers, at the request of manufacturers and artists in and outside Japan. “I believe that tradition needs to be remade in line with the times. I want to see a new tradition,” said company official Yukihito Kanai, 36.